Emily Branch Designs | Branch Out. 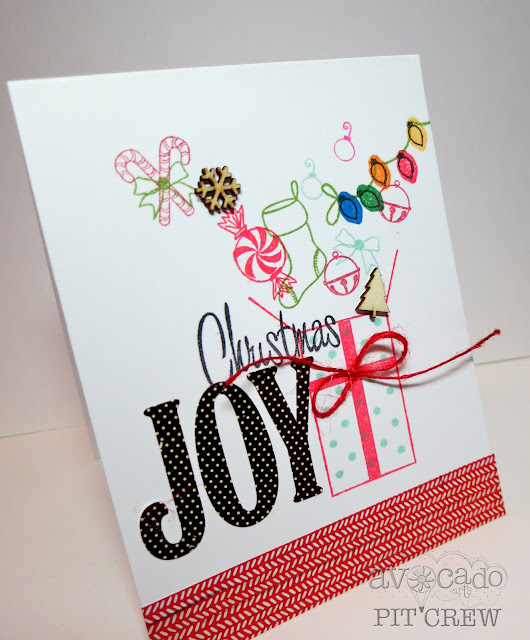 : Avocado Arts + Christmas Joy EXPLOSION! Avocado Arts + Christmas Joy EXPLOSION! Hey there friends! 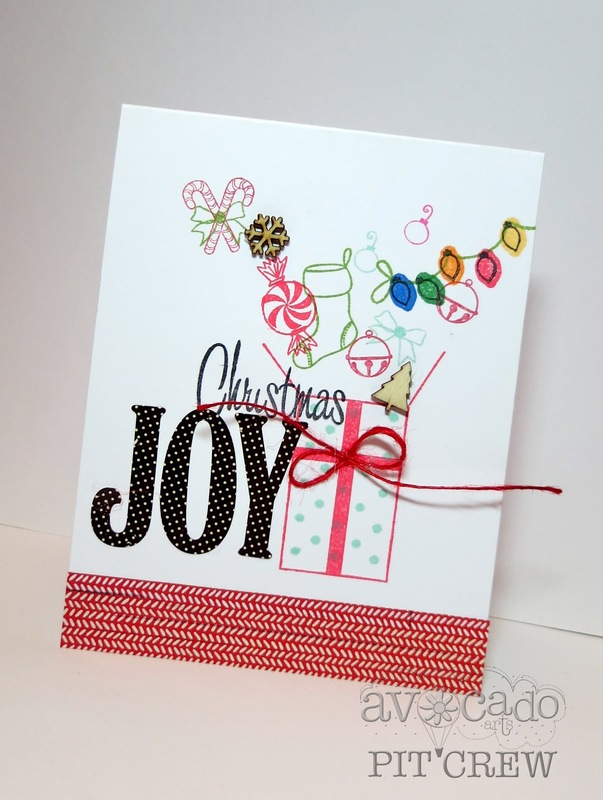 Here to share with you another fun idea using Avocado Arts' Very Merry Season set! This set has so many FUN images to play with, and the beauty Avocado Arts' stamps is that they combine perfectly with older sets, like you'll see in today's project. For a pop of fun I added a patterned paper strip, veneer snowflakes and a red twine bow with a sticker sentiment! Gorgeous card, Emily! I love your collages! This is totally adorable and cool! Love it! !